11:30 - 12:15 PM :: Virtual study area tours -we've divided the study area into 3 districts. When we return to Masala, we'll show a video tour of the 3 districts to provide more context. 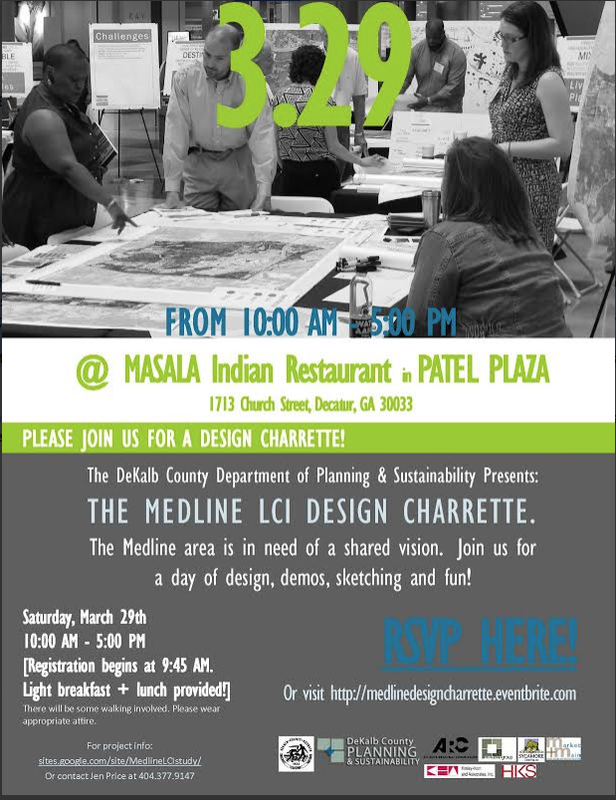 12:30 - 4:00 PM :: Working lunch & charrette - attendees will select 1 of the 3 districts to study. At their study table, they'll discuss and sketch ideas for transportation, land use, and greenspace solutions for their district. At the end, each table will report their draft solutions. 4:00 - 4:30 PM :: Next Steps & Wrap up. Jen says "It's a pretty packed day, but we hope it will be interactive, engaging and fun for those who will participate. We are encouraging people to commit to the whole day, however, if you cannot, we hope that you'll be able to drop by at some point during the charrette."